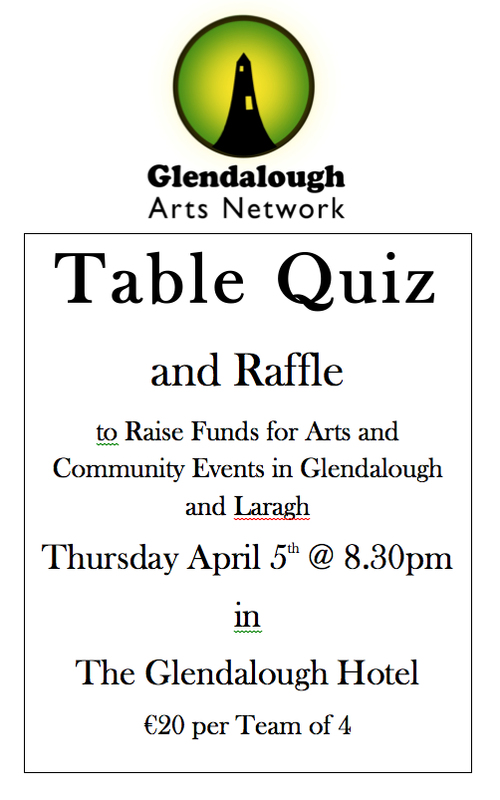 The Glendalough Arts Network are delighted to invite you all to our next Table Quiz which will be held in the Glendalough Hotel on Thursday April 5th, 8:30pm kick off. We hope to raise funds for future most excellent Arts and Community Events in Glendalough and Laragh. The cost is €20 per team of four, so get those encyclopedias out, start swatting your favourite categories and get ready for a night of intellectual extravagance. And to top it all off, there will also be a raffle, so even those without a smart phone are in for a chance of bringing home some goodies.